Whether grown from the fertile earth or harvested fresh from the sea, Sonoma County's eateries embrace an eat-fresh philosophy that offers visitors a true taste of wine country. Dining has close connection with the land. Venture out beyond your resort's borders to discover a food lover's paradise: 500-plus restaurants ranging from Michelin- and Zagat-rated to casual wine country cuisine use freshly harvested, locally-grown produce. Pay attention as you explore the lush countryside; the bounty you see today may be on your plate tonight. An abundance of fruits, vegetables and herbs blanket the countryside. Cattle, sheep, and pigs graze the landscape, chickens and turkeys scratch in the pastures, and goats and cows offer up fresh milk and cheese. Dungenesss crab, salmon and briny oysters expand menu choices. While the "locavore movement" is changing the way the nation eats, here it’s been that way for hundreds of years. Sonoma County Farm Trails is evidence of this rich heritage. It's a culinary charm bracelet of more than 200 orchards, farms, ranches and vineyards throughout the county, offering everything from apples to zucchini. Santé Restaurant is the Fairmont Sonoma Mission Inn's (www.fairmont.com/sonoma) premier dining room and has earned a national reputation for its outstanding food. Literally meaning “to your health,” the restaurant is a celebration of innovative California cuisine and good taste. Recipient of a prestigious Michelin Star as well as the AAA Four Diamond award, Santé is the only restaurant in the Sonoma Valley to receive these accolades. Guests enjoy a seasonal menu, in a warm and casual yet stylish setting. Designed to exude the California wine country experience, Chef Andrew Cain showcases the region’s abundant local products and world-famous wines. Only the freshest local produce, meats, poultry and seafood are used to create elegantly simple dishes that let the natural flavors of the food speak for themselves. Located in the small town of Forestville, California in the Russian River Valley Region of Sonoma County's famed wine country, the Farmhouse (www.farmhouseinn.com) represents the finest level of Sonoma inns, restaurants and spas - where sublime guestrooms, farm-fresh food and seasonal body treatments come together in one unforgettable experience. Nestled in the heart of the Russian River Valley wine region, the "country-chic" Farmhouse is a Michelin-star, top Zagat-reviewed restaurant for the San Francisco Bay Area and has been a San Francisco Chronicle's Top 100 Restaurant four years running. Chef Steve Litke offers "sublime" seasonal California-French cuisine showcasing local, artisan ingredients. The restaurant's signature dish is "Rabbit, Rabbit, Rabbit," rabbit prepared three ways, all delicious. Viola Pastry Boutique & CafeBy opening Viola Pastry Boutique & Cafe (www.violapastryboutique.com), Jennifer McMurry celebrates her grandmother, Viola, who was the heart and soul of her family. McMurry has always wanted to share her grandmother's love of food and cooking with others. Cakes, cookies, pastries and cupcakes head the pastry menu. Want something savory, a full menu for breakfast includes eggs Benedict, breakfast sandwich or burrito, chillaquiles, huevos rancheros, and veggie hash. Sandwiches, soups, paninis and more are lunch and dinner fare. Did we mention pastries? This Sonoma County restaurant, located in the Russian River Valley, is highly regarded for its exquisite cuisine, soothing atmosphere, polished guest services, and its mellow earthy ambiance. The cozy restaurant was built to recall a French barn, yet gives one the feeling of being at a fine Italian villa. The restaurant is part of Applewood Inn (www.applewoodinn.com), a Sonoma County bed and breakfast boutique hotel. Diners rave about popular chef Josh Silvers’ two Santa Rosa restaurants - Jackson's Bar & Oven (www.jacksonsbarandoven.com)and Petite Syrah (www.petitesyrah.com). Both in historic Railroad Square, Jackson's is a more casual, family-friendly eaterie, with a menu that centers on dishes from the kitchen's wood-fired oven. Petite Syrah, created from Silvers’ elegant Syrah Bistro, offers small plates in a wine country casual atmosphere. Chef Jeffrey Madura, former head chef at the epitome of wine country restaurants John Ash & Co., has opened the doors to his own cafe. Jeffrey's Hillside Cafe (www.jeffreyshillsidecafe.com) sees Madura moving away from elegant evening service to a hot breakfast, lunch and brunch spot. After 20 years as executive chef at John Ash & Co., Madura left in 2008 to spend more time with his family. He realized he loved not working nights, but he missed the creativity of cooking. Now, if you want to sample his fare, be there early. The cafe is open daily from 6:30 a.m. to 2:30 p.m.
Editor's note: Links to the websites of hundreds of lodging and dining options in Sonoma County and other North Coast areas can be found at Taste California Travel's Resource Directory. The vintage of 2011 was a great one for Sonoma County wines, as the wine industry's top publications and wine competitions honored many of the region's top producers, and the 2009 vintage of Sonoma County wines, most notably Pinot Noir, garnered outstanding coverage. The 2011 San Francisco Chronicle's Top 100 American Wines report featured 27 Sonoma County wines, significantly more wines than any other region in the report. 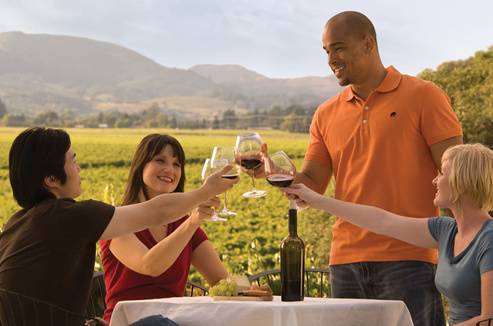 Sonoma County wineries were prominent among the sparkling wine, Chardonnay, Pinot Noir, Zinfandel and Cabernet Sauvignon categories, a testament to the diversity of the region's appellations and climates. In the Wine Spectator's October 15, 2011 California Pinot Noir issue, the cover story headline proclaims "How Pinot Became Sonoma's Signature", a huge coup acknowledging the evolution taking place as vintners and growers learn more about their sites, clones and nuances in winemaking. Senior editor James Laube's story, entitled "California's Burgundy" chronicles the wine's evolution in Sonoma County from the 1980s to the 2009 vintage and highlights 20 Sonoma County producers and 15 great vineyard sites before extolling the virtues of the critically acclaimed 2009 vintage. "In terms of the number of great wines,'09 is head and shoulders above any other vintage in California Pinot Noir history," Laube writes. In another exciting acknowledgement of Sonoma County's Pinot Noir quality, 2009 Kosta Browne Sonoma Coast Pinot Noir was ranked the number one wine in the Wine Spectator Magazine's Top 100 Wines of 2011, a huge accomplishment considering that over 16,000 wines from all over the world are reviewed each year by the publication. Ten Sonoma County wines were in the Wine Spectator Top 100 for 2011 from regions throughout the county, including Russian River Valley, Sonoma Coast, Alexander Valley, and Knights Valley. The Wine Enthusiast honored Pinot Noir from Sonoma County in 2011 by naming Joseph SwanVineyard's 2007 Trenton Estate Pinot Noir the number two wine of the year in their annual "Enthusiast 100 Must-Have Wines of the Year". Editors of the publication also lauded Bob Cabral from Williams Selyem, one of Russian River Valley, Sonoma County's pioneering wineries, as Winemaker of the Year in their 2011 Wine Star Awards. Russian River Valley was nominated this year as the top region of the year, as well. Sonoma County Chardonnay also earned kudos from top wine publications. The October 2011 issueof Wine & Spirits "Best Chardonnays of 2011" featured 2009 Flowers Sonoma Coast Camp Meeting Ridge and 2009 Flowers Sonoma Coast Chardonnay in the top two spots among 579 wines reviewed. Two wines from Iron Horse Vineyards, 2009 Green Valley Native Yeast Chardonnay and 2009 Green Valley Heritage Clone Chardonnay, took two more of the top six slots in the review. Diane Wilson, of Wilson Winery in Dry Creek Valley, Sonoma County, won several awards including"Best Wine by a Woman Winemaker" at the 2011 International Women's Wine Competition. 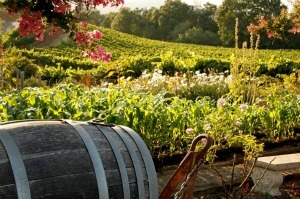 Editor's note: For a free visitors guide or information on hotels, wineries, events, spas, attractions,and dining in Sonoma County, visit www.sonomacounty.com or call (800) 576-6662. Editor's note: Links to the websites of hundreds of lodging and dining options in Sonoma County can be found at Taste California Travel's Resource Directory. The historic Yosemite Mountain Sugar Pine Railroad (YMSPRR) resumed their popular “Moonlight Specials” on May 26, celebrating 40 years of the night time rides. Located just south of the Highway 41 entrance to Yosemite National Park, the Yosemite Mountain Sugar Pine Railroad offers rides aboard a pair of nearly century old Shay locomotives through the Sierra National Forest. The popular tours run each day in the spring, summer and fall months. The “Moonlight Special” adds another element to the memorable rides. “In addition to the train rides, guests enjoy a delicious BBQ dinner outdoors in the cool mountain air,” said YMSPRR owner Max Stauffer. “Popular folk band ‘Sugar Pine’ sings during dinner. Then the train heads out on the tour and stops at the picnic area, where everyone gathers around a roaring campfire for songs. It’s a lot of fun for families who enjoy some good, old-fashioned fun,” said Stauffer. The Moonlight Specials are every Wednesday and Saturday, starting May 26 through Aug. 29 and on Saturdays through the first Saturday of October. Dinner is at 6:30 and the train leaves at 7:30. This is the 40th year the specials have been offered, marking yet another milestone for the popular attraction. Next year the railroad’s oldest locomotive, Engine 15, turns 100.In addition to the trains, the Yosemite Mountain Sugar Pine Railroad has the Thornberry Museum which highlights what life was like here around the turn of the century, a well-stocked gift store and book store, as well as gold panning, where guests get to keep what gold they find. Looking for that nugget.Other special events this year include a “Moonlight Melodrama” where instead of campfire songs, the actors from Golden Chain Theatre will perform a mini melodrama on Jul 15 and Aug. 12 and a special fundraiser to benefit the Children’s Museum of the Sierra on June 24 via the Oakhurst Honorary Mayor Campaign. More information on that can be found at www.Jarrod4Mayor.com. To book tickets or learn more about the Yosemite Mountain Sugar Pine Railroad, visit www.YosemiteSteamTrains.com or find them on Facebook at www.Facebook.com/YMSPRR. Editor's note: Visitors to the Gold Country and High Sierra regions will find links to the websites of hundreds of area lodging and dining options at Taste California Travel's Resource Directory.